Few buyers in the early 1970s wanted a small fuel efficient car...until gas prices shot up, and the Japanese invasion began. 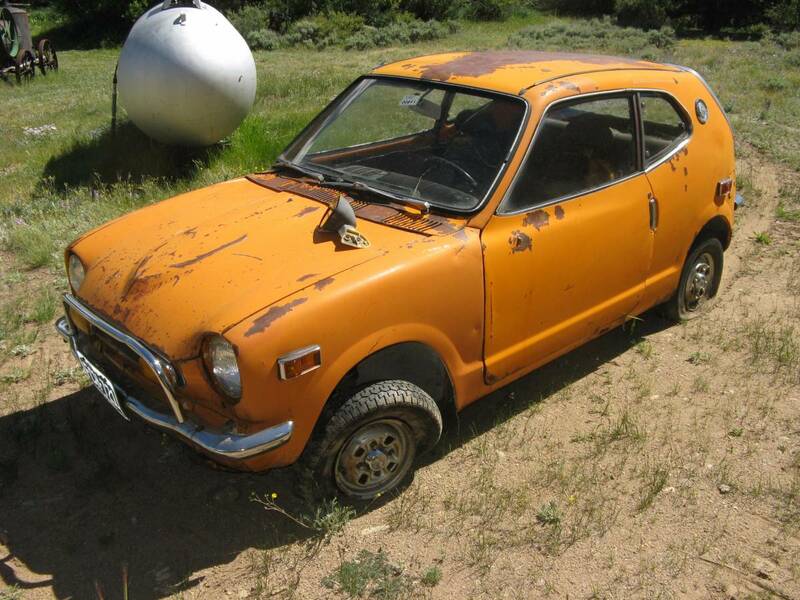 If you are in the Shriners and tired of rollin in a Nash Metro in local parades, perhaps you might be interested in this 1971 Honda N600 for sale for $1000 in Leadville, CO. This post is part of DT's 2016 Birthday Celebration of 100 cars; enjoy the ride! 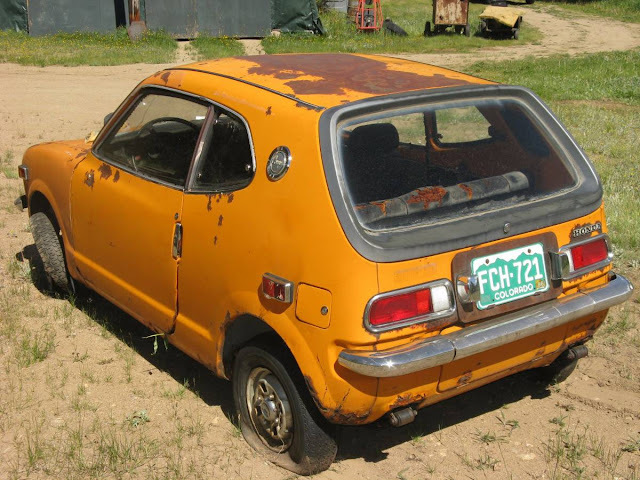 The owner claims the car was his father's car that was parked because of engine trouble back in the mid 80s, and the pics seem to validate that claim. The bumpers and other bright work don't look too horrible. No shots of the 2 cylinder N600E are provided, but it will need some work before it gets back on the road. To my surprise plenty of brake parts are available on autohausaz.com…but nothing for the master cylinder. Let's see if my rule of thumb that anything pre-bumper is worth $2000 these days, if you can't see the ground beneath your feet, holds true.